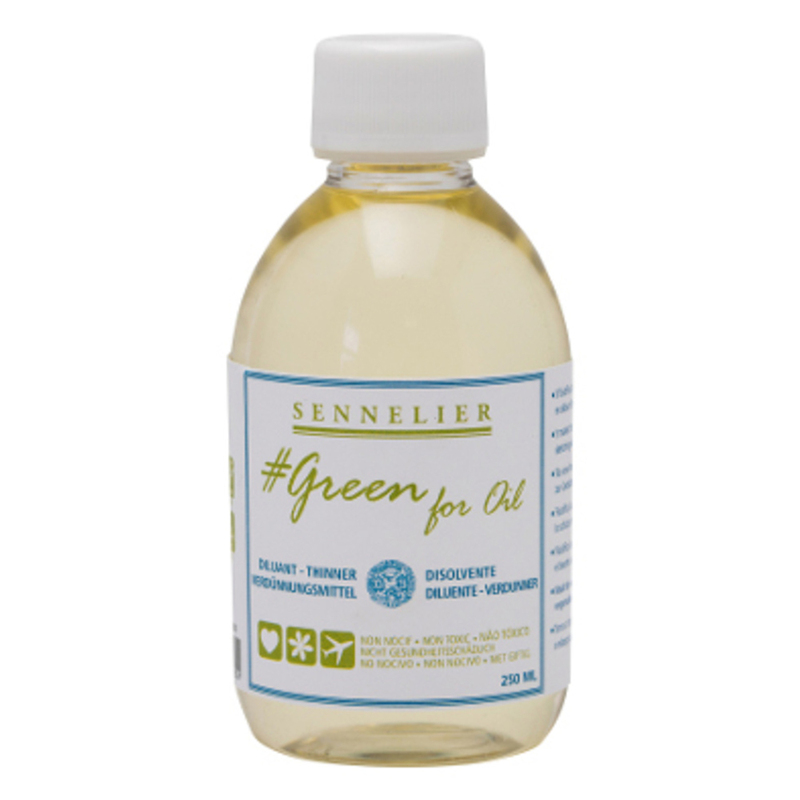 Sennelier Green for Oil thinner can be used in the same way as a traditional thinner. Give your oil paint a more fluid consistency by mixing this thinner in with your colour. This thinner is particularly useful for thinning paints for underpaintings. 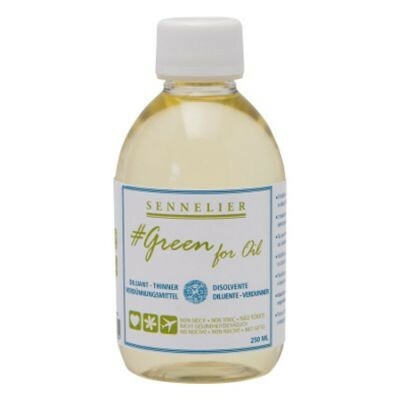 This range of mediums is made using biosolvents sourced from natural raw materials, so they are ideal for anyone looking to avoid traditional thinners and mediums made from volatile, petroleum-based materials.